08098700 is Standard Compact Manual Battery Disconnect Switch that features a removable handle with a plastic body. Rated to 100A continuous current this switch is ideal for lightduty applications. 08099000 same 08098700 but with rubber cap included for protection while switch is removed from the socket. 08098780 is a newer design with bigger contacts (M10) and improved components for heavier 150A current loads in the same compact dimensions, which make it one of the more popular products for 12V applications. 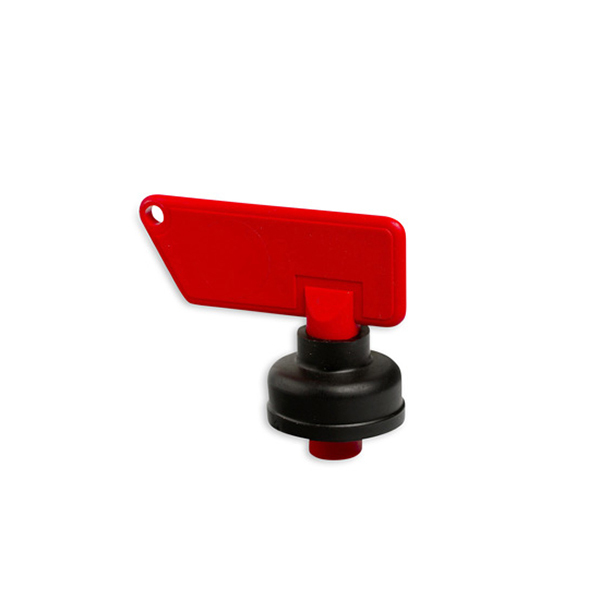 This Manual Battery Disconnect Switch features a removable handle with a plastic body. 08099080 same 08098780 but with rubber cap included for protection while switch is removed from the socket.